"We're in full roll out mode — this is no longer a test for us," Panera CEO Ron Shaich said in a presentation at the ICR Conference on Wednesday. Shaich said that the company plans to add delivery at 35% to 40% of the chain's roughly 2,000 locations by the end of 2017. "For us, delivery is a mass-market opportunity," Shaich said. "It's not because we're smarter [than our competitors] — we're blessed," Shaich said. Blessed, according to Shaich, with a menu of soups, salads, and sandwiches that are easy to transport, much like pizza. Panera began rolling out delivery in early 2016. 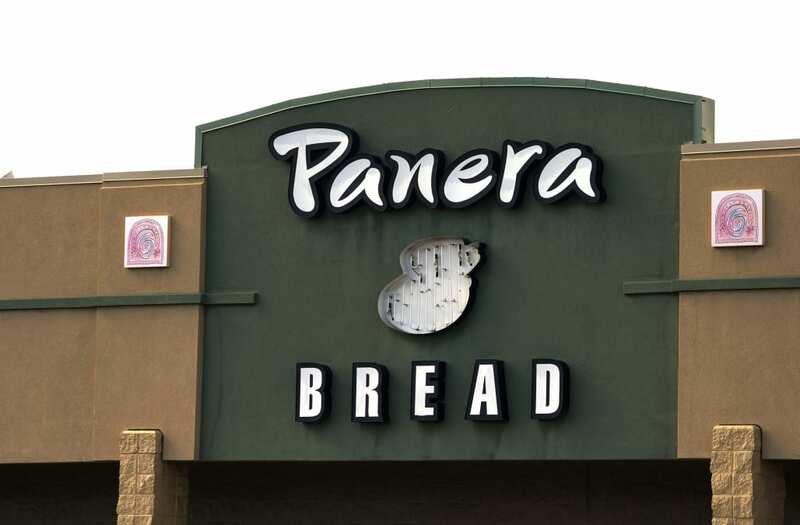 Roughly 15% of Panera locations now offer delivery, exceeding the company's original plan to add delivery to 10% of stores by the end of the year. The fast-casual chain began exploring delivery five years ago. Panera investors have been pushing the company to add delivery at restaurants, especially following the successful roll out of Panera 2.0, a tech initiative that built the chain's digital ordering system for Panera's app and in-store kiosks. "With Panera 2.0 effectively implemented across the company base, investor attention has turned to the implementation of delivery, which our delivery model suggests will annually contribute ~1-2% same store sales and 2-3% to [earnings per share] growth through 2020," Cowen and Company analyst Andrew Charles wrote in his nomination of Panera as a "best restaurant stock pick" of 2017. Panera's kitchen crews can treat delivery orders the same way they would treat take-out orders. The only added costs are those associated with the actual delivery process, which Shaich said add up to roughly $3 to $3.50 per order. Panera charges a delivery fee of around $3. What San Francisco is missing out on: Chili, Frostys, and the Baconator. Wendy's is the No. 5 top chain for fast food in the U.S., according to the QSR list. Closest location to San Francisco: There used to be one in the heart of downtown San Francisco, but it's since shuttered. The closest one is 6.7 miles away in Daly City, or a quick BART ride from city center. What San Francisco is missing out on: This southern chain is all about chicken, especially the Original Chicken Sandwich. Chick-fil-A's is the No. 8 top chain for fast food in the U.S. behind Dunkin' Donuts, according to the QSR list. Closest location to San Francisco: You can head east to Walnut Creek or south to Sunnyvale for the closest restaurants in the Bay Area. What San Francisco is missing out on: America's favorite drive-in, complete with roller skating carhops, an array of ice cream shakes, and tons of slushies. Closest location to San Francisco: Sonic lovers will have to drive 23 miles to Hayward to get the drive in experience. What San Francisco is missing out on: The ice cream stand (and food chain) is known for its Blizzards and the famous Dairy Queen chocolate dipped cone. Closest location to San Francisco: Inching closer to the San Francisco county line, Dairy Queen is in Daly City, at least somewhat accessible by San Francisco's public transit. What San Francisco is missing out on: The coating on the chicken tenders is unlike any other fast food chain, and don't forget the dipping sauces. Closest location to San Francisco: Located primarily in the South, Zaxby's has a few locations in Utah. What San Francisco is missing out on: Every restaurant has free roasted peanuts, but the real star is the eggier bun on its made-to-order burgers. Closest location to San Francisco: A location in Alameda is a short ferry ride from the city. What San Francisco is missing out on: You go to Culver's for two things: Butterburgers and Frozen Custard. Closest location to San Francisco: It's a toss-up between Utah and Arizona. What San Francisco is missing out on: Shoestring fries, milkshakes, and Steakburgers. This Midwest chain has spread throughout the U.S., but it has never made it to the Bay Area. Closest location to San Francisco: There's a few locations around Los Angeles, but it might be a faster road trip to head to Reno, Nevada.